Recently, some of my favourite bloggers have been updating some of their archived blog posts, sharing old favourites and highlighting some of their best dishes for newer readers. 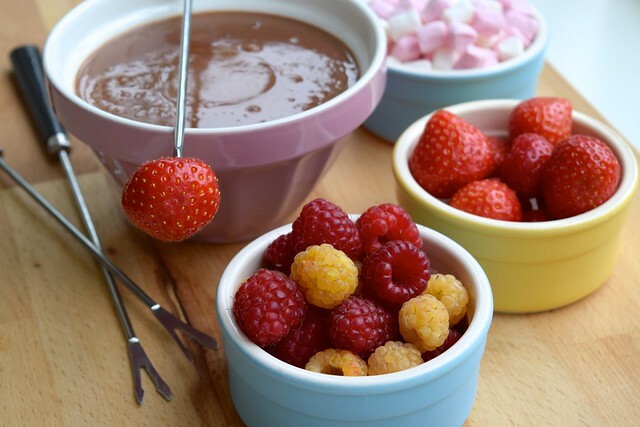 So, because there are recipes in my archives I adore and I don’t want you to miss, over the next few months I’m going to be re-sharing some of my greatest hits (but don’t worry, I’ll still be posting new recipes too!) 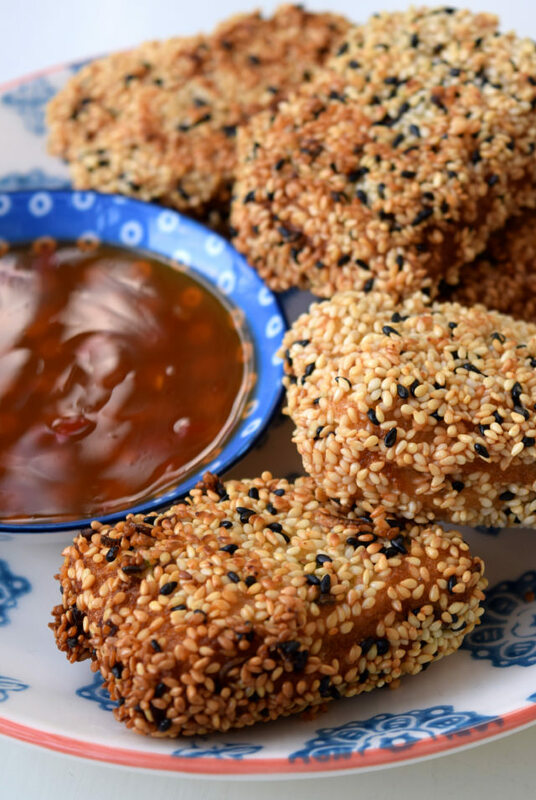 I’m starting with these Homemade Sesame Prawn Toasts I first wrote about in 2016, which are great for a homemade party platter or Chinese starter. While the most common takeaway in our house is Indian food (a chicken curry for him, dal makhani for me, with a lamb biriyani and a peshwari naan to share) sometimes we’re just craving a Chinese. 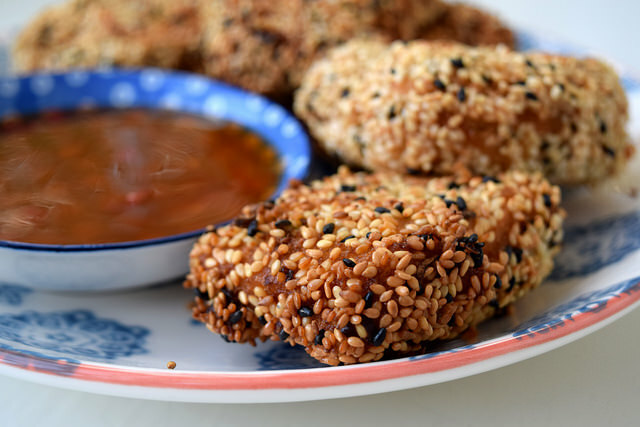 There is always egg fried rice, and while we change up our mains depending on our mood, we always get a bag of chicken balls with sweet and sour sauce, and a mixed starter which will guarantee us a few veggie rolls and our joint favourite starter: sesame prawn toasts. You’ll never be able to tell me that the delivered versions are not amazing, but I know they put a lot of people off because they’re so greasy. This is why I started to make my own at home. 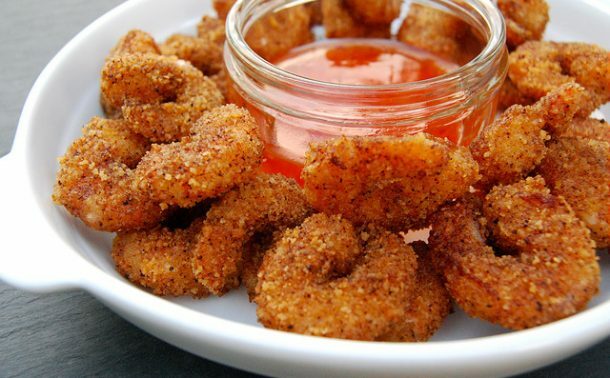 They’re deceptively easy to make, you’ll no doubt get more prawn in there than in a takeaway version, and they are so much lighter and healthier, even though you’re still frying them! 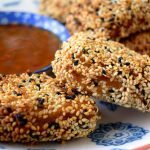 Sesame Prawn Toasts are healthier and even more delicious if you make them at home, served with a sweet chilli dipping sauce. A great project for a party spread or a fun starter next time you make a stir-fry at home. If you’re going to a whole prawn situation, beat together the ginger, eggs, cornflour, sesame oil, soy sauce a good seasoning of sea salt and a generous pinch of white pepper. Thinly slice the spring onions and add them to the mixture. If you want to make the chopped filling, just combine the egg, cornflour, sesame oil, soy sauce and other seasonings; chop the spring onions and set them aside with the ginger. Slice the crusts off of the bread and half the slices lengthways. 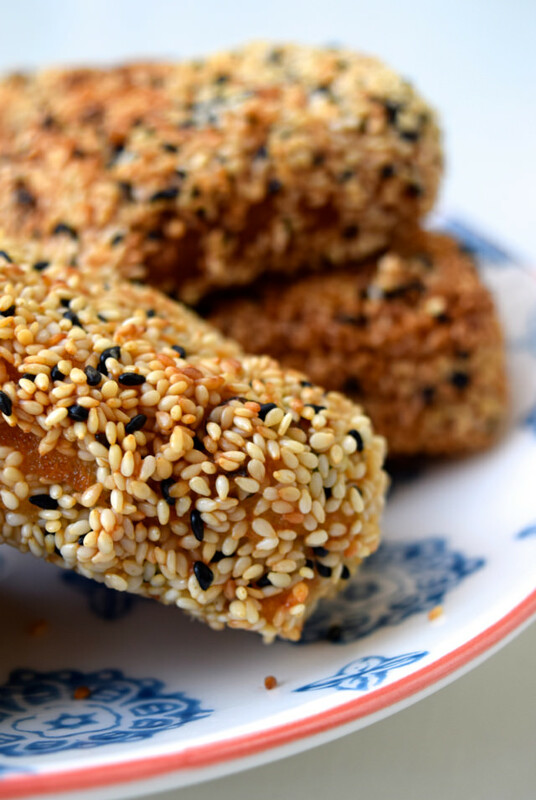 Tip the sesame seeds onto a shallow dish, adding a few black seeds to create a mixture if you wish. 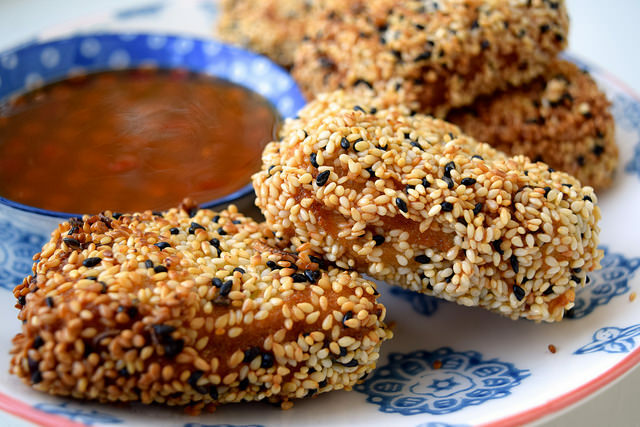 You’re now good to go to make whole prawn sesame toasts. If you’re making the other filling, roughly chop the prawns and combine with the onions, ginger, and a splash of the egg mixture to make a slightly sticky filling. Dip a piece of bread completely in the egg mixture, shaking off any excess. Either encase a whole prawn or an 8th of the chopped prawn mixture in the middle of the piece of bread by folding it in half in the middle, and squeezing the edges shut. Roll the toast so it is completely coated in sesame seeds, and set aside while you repeat with the rest of the pieces of bread. Heat enough oil to cover the bottom of the toasts halfway in oil in a wok over a medium high heat (a very high heat will make the oil too hot and make it really easy to burn your toasts) until it is shimmering. Using tongs or a slotted spoon, fry the toasts in two batches until just golden on each side. 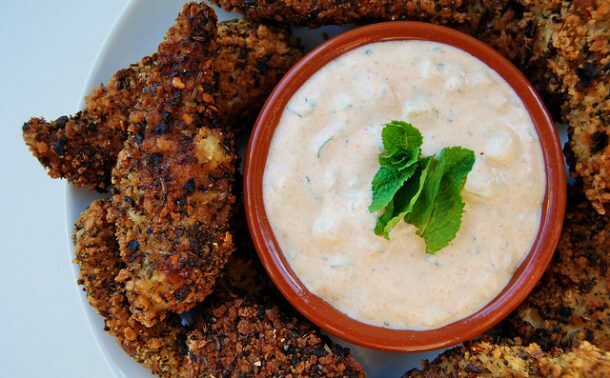 Leave them to rest on a plate lined with kitchen paper to soak up excess fat, and to cool down for about 5 minutes before serving with a sweet chilli sauce for dipping.